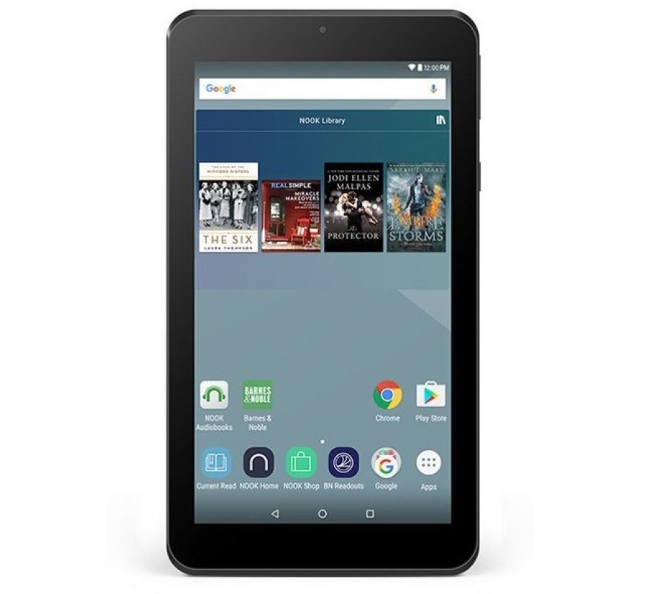 The NOOK Tablet 7 tablet from Barnes & Noble that Tabletmonkeys leaked on October 28 and that we believed to be a $49 Amazon Fire tablet rival turned out to be just that, a fully fledged Android 6.0 NOOK Tablet 7 for $49, Barnes & Noble announced today. 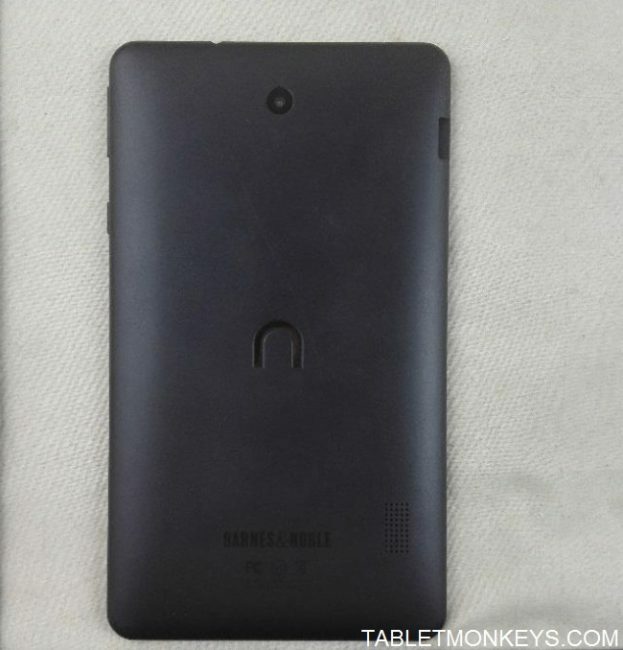 The new Barnes & Noble NOOK Tablet 7 will be launched on November 25, which is Black Friday. 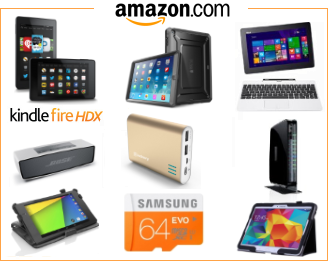 The only problem about that, is that on Black Friday 2015, Amazon had their $49 Fire tablet on sale for a mere $34.99. 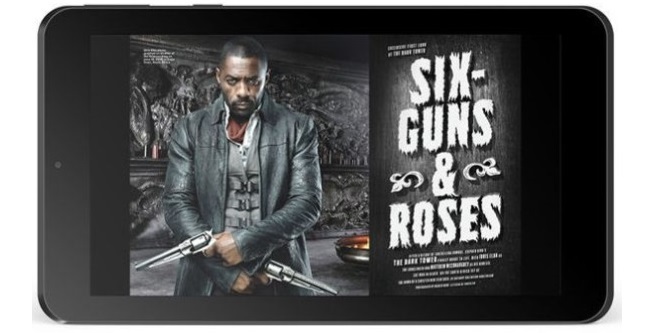 The NOOK Tablet 7 belongs to the category of entry level 7-inch Android tablets, which means entry level specs too. Effectively, that’s a 7-inch screen with a 1024 x 600 resolution, and a tablet with a 7 hour battery life from the 3000 mAh battery. 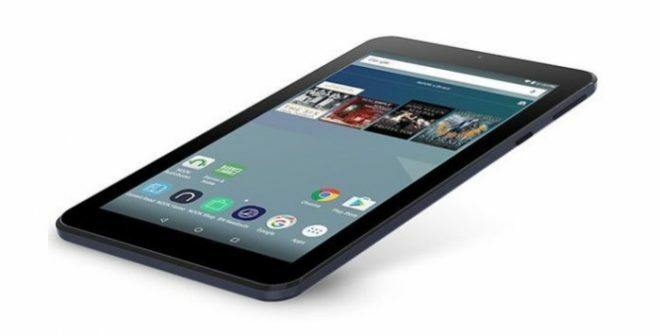 NOOK Tablet 7 is powered by a quad-core 1.3 GHz – 1.5 GHz MediaTek MT8163 processor with a Mali-T720 GPU, together with 1GB of RAM, and 8GB of storage with 128GB microSD card support. It actually has dual-band 2.4 GHz and 5 GHz though with 802.11 a/b/g/n Wi-Fi support, Bluetooth 4.0, a 2MP front camera and a 5MP rear camera, a mono speaker, a micro-USB 2.0 port, and a 3.5 mm audio combo jack. Since the NOOK Tablet 7 runs Android 6.0, it has regular Google Play Store access, but you can tweak that onto any Amazon Fire tablet too in a matter of minutes. For instructions see the XDA developers post on this subject.